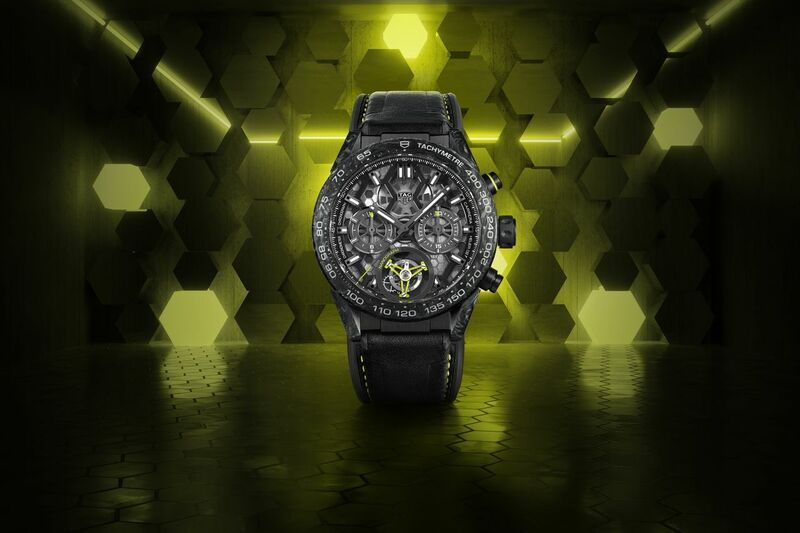 TAG Heuer Carrera Heuer-02T Tourbillon Nanograph was introduced in 2019. 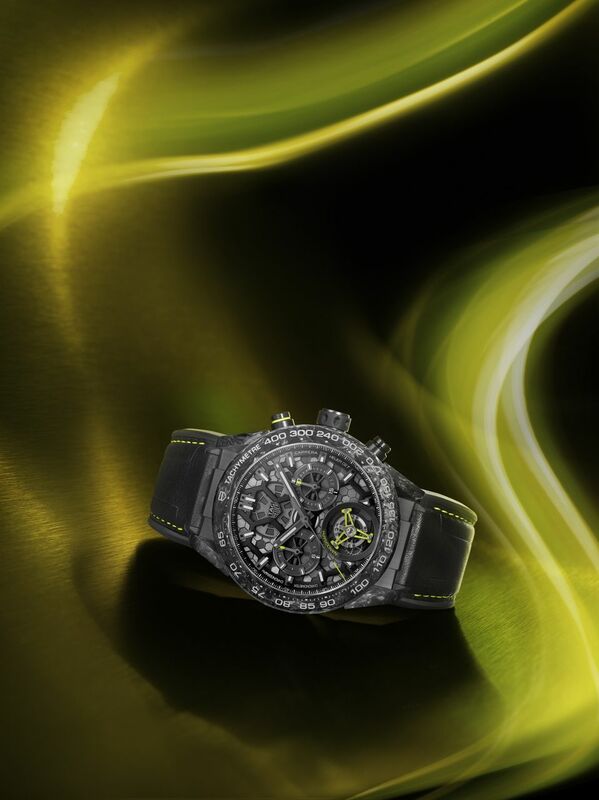 It houses the brand's latest innovation, which is a hairspring made of a carbon composite. The nanoscopic (one million times smaller than a millimetre) hexagonal pattern of the hairspring’s carbon composite material is mirrored in the design of the Carrera Calibre Heuer 02T Tourbillon Nanograph - both from the front as well as the back. 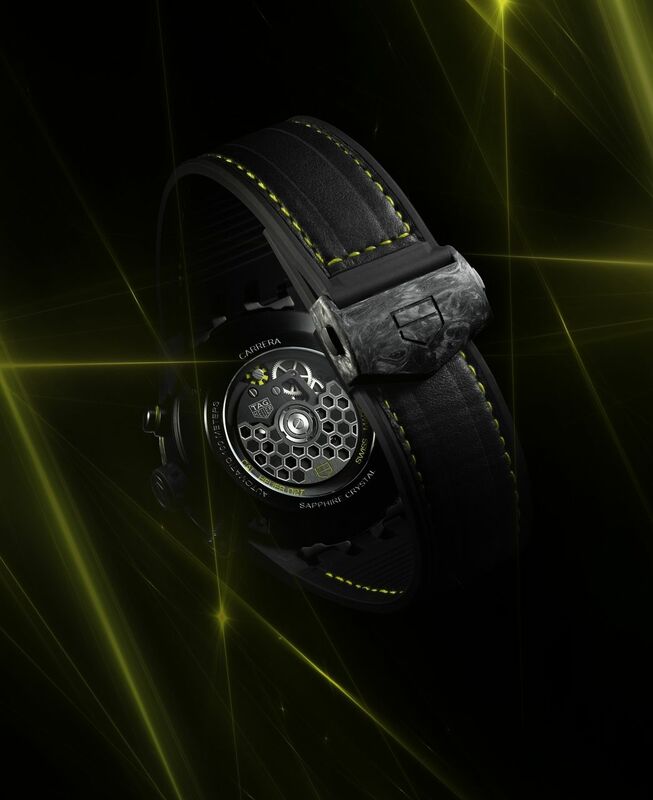 There are bright neon green elements throughout, including on the tourbillon cage. 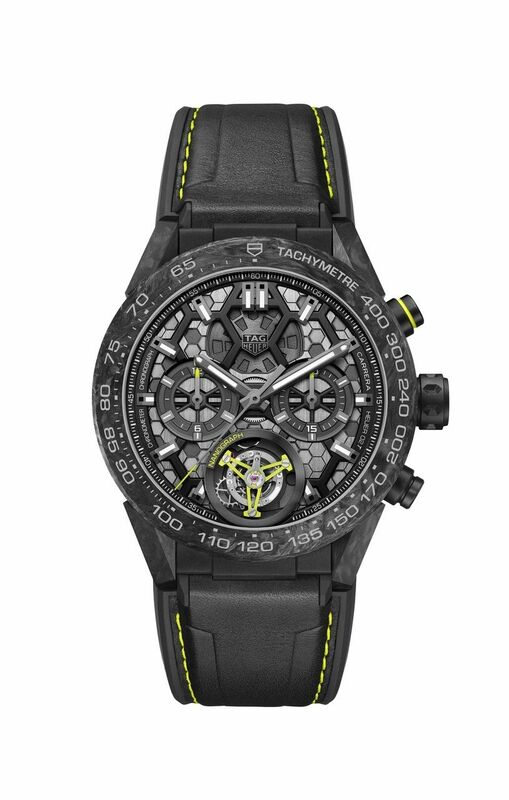 The case is made of black PVD titanium with a carbon fiber bezel.